As a company policy Nucleonix Systems, markets or sells its products directly to all the major customers such as faciitates under DAE public sector companies , corporate houses in private sector, Industries, Govt. dept., Defence, Ministry of Home Affairs, Universities etc. Dealers / Resellers are normally not authorized to quote to above customer unless, the company specifically authorizes them. All customers desirous to procure products from Nucleonix Systems can directly write to us. Nucleonix Systems has the policy to offer products sales through dealers / distributer network. This is facilitated so that customers can contact, nearest dealer, at short notice & plan for procurements, if it is convenient for them. It is the responsibility of the dealers to ensure that there is no clash of quotation to the same college/ customer from the dealer, as well as from the manufacturing company. Dealers are authorized to quote to all Govt. / Private colleges (UG & PG), Cancer Hospitals, Institutions, industries which are not covered by the manufacturing company. Dealership terms & conditions: List of products sold through dealers, terms & conditions etc can be obtained from, Nucleonix Systems, Head, Business & Customer Support Division, by sending an email letter. As of now Nucleonix Systems has been marketing the products directly as well as through International dealers / distributors. International customers can directly contact us and send sales inquiries or contact international dealer in their country. For all exports from Nucleonix Systems to other countries, products & services are channelized through International Dealers / Distributors. Nucleonix Systems is in the process of appointing international marketing representatives, Interested firms / companies may write to Head, Business & Customer Support, or Managing Director. Customers desirous to obtain more commercial / technical information may send email request to customer support division, at info@nucleonix.com. The following procedure is to be followed by the customers with in India for availing services/ repairing facility during warrantee period. Equipments are to be sent to our works for availing free repair services during warrantee, after the customer receives approval from the customer support division, by sending an e-mail. For all equipments, costing less than 6.0 lakhs one year warrantee & free service is offered, when the equipments are sent to our works only. For larger systems such as installed systems, networked systems, specialized systems, costing more than 6.0 lakhs during one year warrantee, free service is offered at site for services within India only. Field service Engineer will be deputed subject to warrantee terms & conditions. Of course services are free provided, the defects developed are due to normal / natural failures. Any failures due to over voltage, electrical disturbances / short circuits & because of non-use of servo-stabilizer or due to mishandling of equipment, including physical damage or breakage, then the customer has to pay for the repairs even if it is under warranty. This does not include personal computer related problems, for which local computer service provider of the PC vendor is to be contacted. Also for software related problems online support will be provided. Software support doesn’t include cleaning of virus problems etc. When the equipments are sent to our works for warrantee services, they are to be properly packed with adequate cushion to prevent any transportation damages. Nucleonix Systems is not responsible for damages or loss during transportation. Packing / Freight charge is to be borne by customer when he sends the equipment to our works. However when we return after servicing packing will be Nucleonix responsibility & Freight charges will be to your account. Only services are free. Please indicate in your correspondence equipment model & serial number. All the equipments are to be sent to our works only on door delivery basis. For Door Delivery Transportation contact XPS/GATI cargo in your city / town or a reliable courier service to pick the consignment from your place. For their nearest local address & phone no’s look into their websites. Transit insurance if the customer feels is necessary it is to be covered. Nucleonix Systems will not receive the equipments sent by other modes of transportation, such as Rail/Road. After servicing, equipments will be sent back by same mode of transport such as XPS/GATI/COURIER/RPP. All types of Radiation detectors, glass ware, PMTs etc which are fragile are not covered in warrantee, if the failure is due to physical damage, external or internal due to shock, dropping, miss-handling etc. If the failure is due to a natural fault then only it is covered under warrantee for a limited period of three months. However complete electronics is covered for 1 year warrantee. You can also send the equipment personally to our works for repairs either during or after warrantee, after fixing up with our service dept (Customer Support Division). If possible we may repair on same day or your person can stay for a day or two & get it repaired & or calibrated. On expiry of 1yr warrantee if you like to send the equipment (low cost less than 6.0 lakhs) for repairs to our works, you may please observe the following procedure. Send an e-mail with details mentioning that you agree to pay service charges which includes: Basic service charges per unit / module in the range of Rs: 2500 to Rs : 10,000 depending on the sophistication of the unit calibration charges ( if applicable for your equipment) + cost of components + packing charges + Return Freight charges @ actual. Once our customer support department responds & requests you to despatch the equipment to our works for repairs, you may do so by following the steps given below. Followed by this you can send the equipment straight away if it is within 5 yrs old. If the equipment is beyond 5 yrs old, then also you can send it for repairs, however only after you receive confirmation from Customer Support Division, that it is repairable & is not an obsolete model. If the design is obsolete then customer support division (CSD) may give you ‘buy back’ offer to replace with new model or upgrade it with electronic circuit boards & enclosure. For all installed equipments costing above Rs: 6.0 lakhs which are larger in size & for which field servicing only is recommended, you can obtain a quotation with relevant details by sending an e-mail & avail the services accordingly. For all field servicing jobs, since we need to depute engineers, it is likely, to take time & also it will cost more which includes Engineer’s TA & DA etc., apart from basic service charges + cost of spares etc. Please note that basic service charges will be different for different products depending upon sophistication. Also in some cases it may not be possible to fix-up the problems in the field itself, in such cases we may advise you to send them to our works. For all jobs to be serviced in the field, customer is requested to provide adequate details on the nature of problems, to enable our engineer to come prepared with adequate spares. For any additional information send an e-mail to info@nucleonix.com, Atten: Customer support division. Equipments, manufactured & exported are subjected to a well defined quality assurance (QA) plan & Factory acceptance tests (FAT). Nucleonix systems has the following policy to provide maintenance support to overseas customers either directly or through international dealers / distributors. For minor problems, which can be handled by customers, servicing tips have been provided in the user manual / servicing manual. Also most of the equipments have built-in fault diagnostic features which will indicate to the user nature of problem in the equipment. Based on the this visual indication in the instrument Display, user can take corrective action or contact Nucleonix systems by email for help. Nucleonix systems will guide in localizing the defective part / module or sub-system by interacting with the customer if required. Skype will be used for communication. During warranty free replacement of sub-system or board (PCB) will be done. However customer has to send defective sub-system back to Nucleonix system for arranging replacement, at his own cost. During & after warranty, any Freight charges & customs clearance charges are to be borne by customers, both ways. If it is a manufacturing defect, then Nucleonix system will bear the replacement cost of sub-system / unit. However any Freight charges & customs clearance charges in their country are to be borne by customer. After warranty, services will be similar to that of services during warranty. However, customer will have to pay for cost of parts replaced, Freight charges both ways & customs clearance charges in both the countries. Nucleonix systems plans to introduce audio visuals on web or on CDs to facilitate product demonstration, installation & minor maintenance very soon. In case customer wants send the equipment personally, for repairs, all the expenses are to be borne by the customer which may include VISA, Air Travel, Hotel, local Transportation etc. Only equipment repairs at our works will be free, during warranty & will be charged extra for repairs after warranty. For all sophisticated instruments & systems and also for installed monitors & networked systems in a nuclear facility or a Radiological lab or in a Medical cyclotron facility where no. of instruments are networked, it is advised that customer enters into an economical Annual maintenance contract with Nucleonix system. 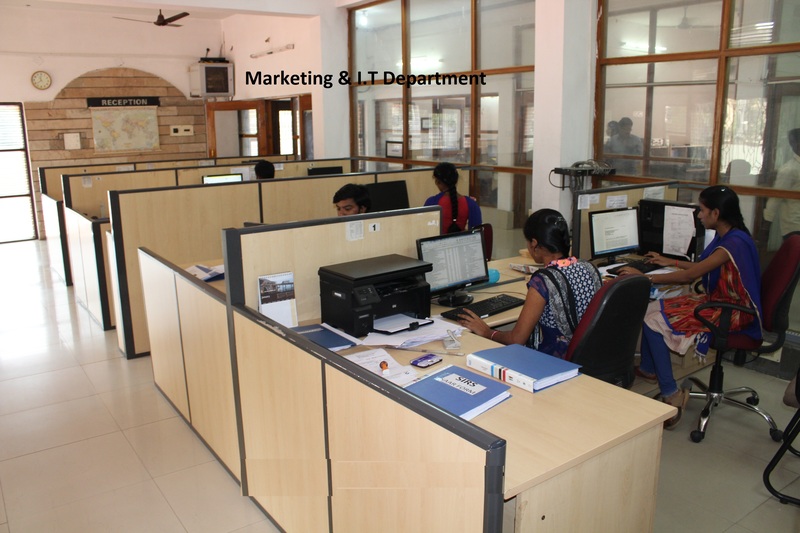 Detailed AMC proposal can be obtained from our customer support division (CSD), by giving required inputs. Name, year & data of purchase, Sl. Nos. of equipments, Model No’s, No. of equipments for which AMC is required. Additionally no. of calls per annum required for preventive & breakdown maintenance may also be indicated. Nucleonix systems maintain required spares, spare tested PCBs, detectors & other critical components which may become obsolete. Obsolescence in electrons is quite rapid. If you enter into AMC guaranteed service for the period of AMC will be the responsibility of Nucleonix Systems. Without AMC prompt service calls are not guaranteed. If some critical components become obsolete, then Nucleonix systems may request you to upgrade the product with new model or new electronics which may be expensive if you are not under AMC. 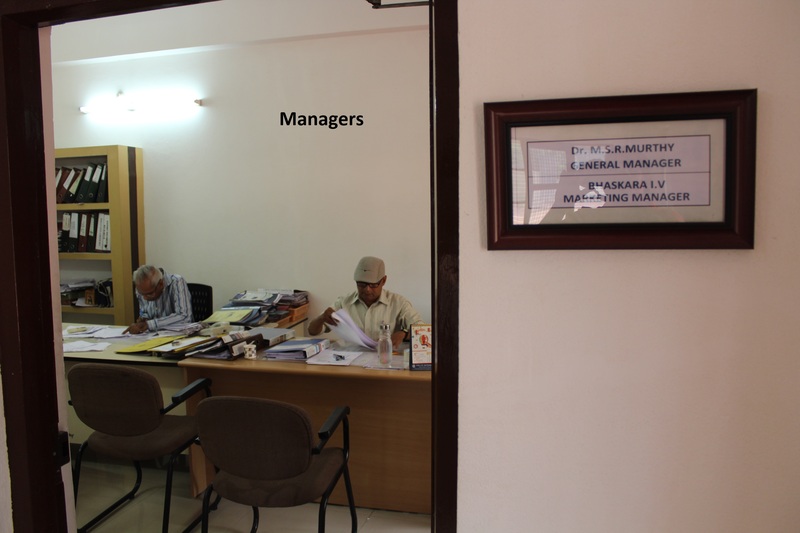 To a limited extent, we offer training on maintenance / repairs at our works to customers on chargeable basis. Details can be obtained from our customer support division, by customers who may require such services. In case you like to train your Engineer / Technician on maintenance, all the costs involved, such as travel expenses (Rail / Road / Air), Hotel & local transportation from Hotel to our works etc. are to be borne by the customer. Nucleonix Systems will not provide any charges towards this. Foreign customers have to travel with proper Passport & VISA, to India & all expenses towards this, are also to their account only. Regarding training charges & duration of training please find out from our Customer Support Division executive by sending an e-mail. Dear valued customer we request you to enter your W.O (work order) No. assigned by Nucleonix Systems, against your P.O to know the supply schedule. Dear valued customer we request you to enter your S.W.O (work order) No. assigned by Nucleonix Systems, against your work order to know the dispatch schedule. Nucleonix Systems offers radiation calibration services to its customers. Calibration services are provided for Nucleonix Systems manufactured products only, in general, as a company policy. 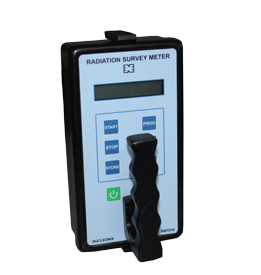 Our standard calibration charges per equipment (All types of Radiation monitors including portable survey meters, contamination monitors & Area Gamma Monitors) are Rs: 2500 + Packing + Freight charges. You can email a ‘ work order’ accepting these charges. Email your work order and despatch / send the equipment to our works if it is 5 years old or less including details of mode of transport sent with docket particulars. Also mention in your work order & clearly indicate that you will agree to pay calibration charges & also equipment repair charges additionally if the unit is faulty & requires repairs before one can take it up for calibration. You are requested to ensure good packing to avoid any transportation damages. Especially if there are external detector probes, they are to be packed with sufficient soft foam to ensure no damage in transportation. Use only the specified following mode of transportation system for dispatching on door delivery basis. XPS/GATI cargo / Courier/RPP/Speed Post parcel etc. Send the equipment on freight paid basis. (Equipments sent by other methods such as Rail/Road etc will not be collected). Also you can cover for transit insurance both ways if you wish. Nucleonix system is not responsible for any transportation damages or loss during transportation both ways. Immediately on receipt of the equipment, we will send an acknowledgement & also a proforma bill by email/ post. Based on the proforma bill, once we receive the payment, equipment will be dispatched back by similar mode of transportation as mentioned above. We have two calibration labs. i. Low Level Calibration Lab. ii. High Dose Rate Calibration lab. This lab has a 8 Ci , Co-60 standard housed in a CRC-2 camera, operated remotely viewed through CCTV arrangement. 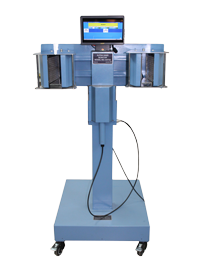 High dose rate survey meters, High level Area monitors etc are calibrated in this lab. This CRC-2 camera is housed in a separate concrete building. All the radiation monitors manufactured by Nucleonix Systems are authentically calibrated at this facility, before they are shipped / dispatched. CRC-2 camera has Co-60 standard obtained from Bhabha Atomic Research Centre, Mumbai. It is a certified source.